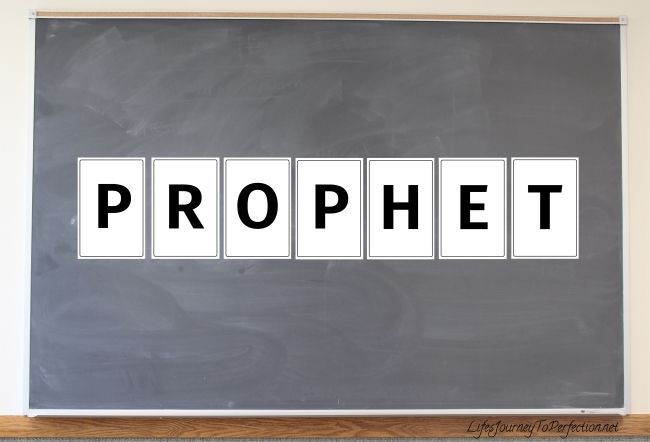 Life's Journey To Perfection: 2017 LDS Sharing Time Ideas for March Week 2: The First Presidency and the Twelve Apostles are prophets. 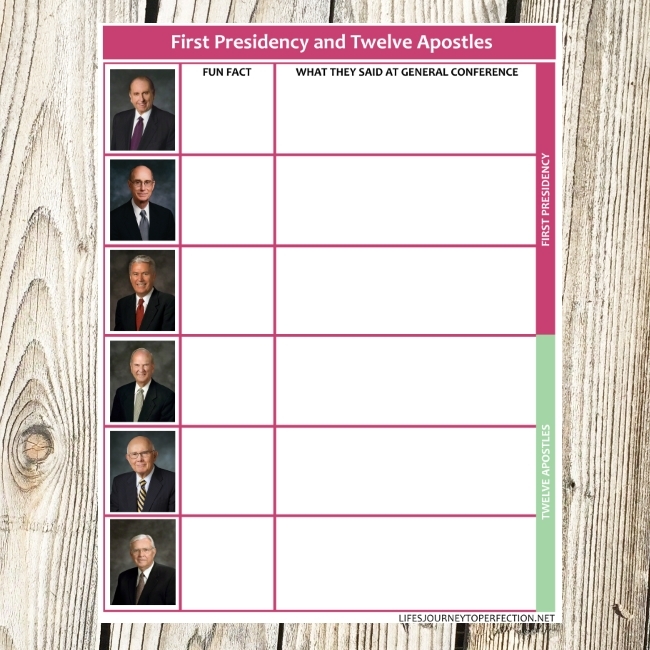 2017 LDS Sharing Time Ideas for March Week 2: The First Presidency and the Twelve Apostles are prophets. 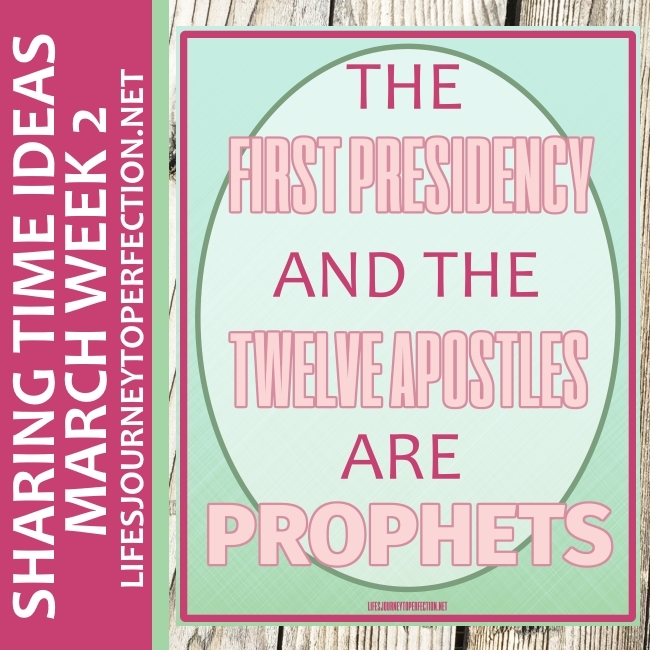 Ideas for March Week 2 LDS Primary Sharing Time, The First Presidency and the Twelve Apostles are prophets. March 2017 Scripture: “O, remember, my son, and learn wisdom in thy youth; yea, learn in thy youth to keep the commandments of God” (Alma 37:35). 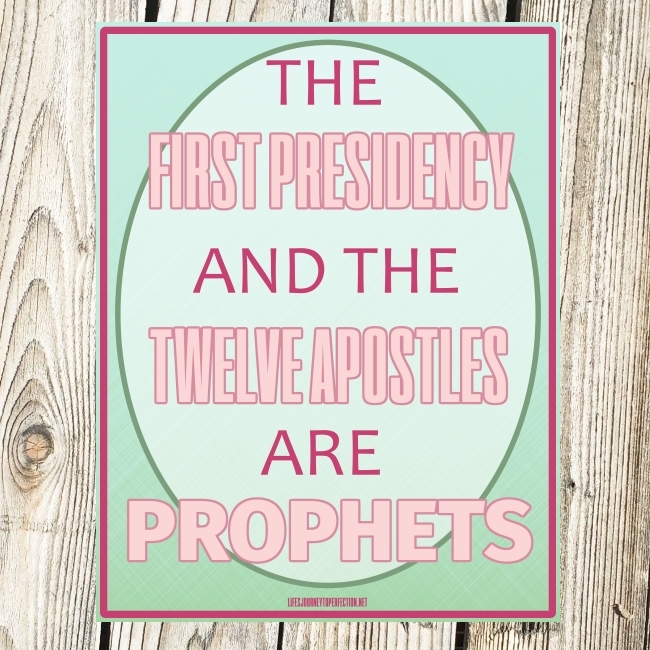 March Week 2 Topic: The First Presidency and the Twelve Apostles are prophets. The lesson I prepared for Week 1 would work for this week too or it could work for next week. I thought that it would be fun to learn about The First Presidency and the Twelve Apostles. 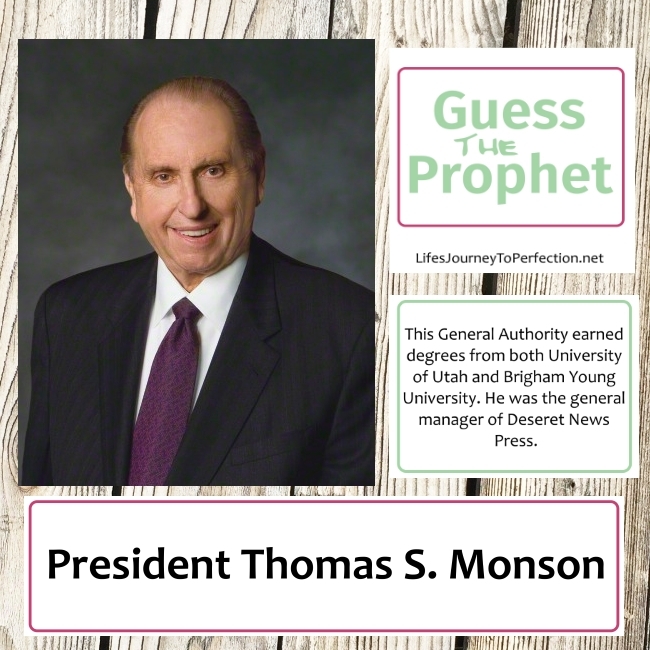 President Thomas S. Monson:: This General Authority earned degrees from both University of Utah and Brigham Young University. He was the general manager of Deseret News Press. President Dieter F. Uchtdorf This General Authority was born in Czechoslovakia. He was a fighter pilot in the German Air Force. Elder Dallin H. Oaks: This General Authority was law clerk for the chief justice of the United States Supreme Court. He was a President of BYU. Then appointed to the Utah Supreme Court. Elder M. Russell Ballard: This General Authority is the Great-Great Grandson of Hyrum Smith. He was a business man, he ran Ballard Motor Company. Elder Robert D. Hales: This General Authority was president of the England London Mission. He also was in the U.S. Air Force as a jet fighter pilot. 2017 LDS Sharing Time Ideas for March Week 1: God speaks through living prophets. I'm always looking for fun ideas for our primary's sharing time when it's my turn and almost always use your ideas. Thank you so much for sharing your talents and spirit! I really appreciate the time you take the make the downloadable helps. Thanks again!!! Thank YOU so much NaDell!! Your comment seriously means so much!! Thank you so much, always I searched for ideas but my first search is going to your web. I just amaze how much I do I do, help and idea gave us. We teach 2 classes Jrs and Srs, I need to adapt this class for our Jrs because they are to little to read, and easy to get distrate. Could you help me how to work with them in this subject? Hey Juana, Thanks for your comment!! So if you want to adapt is for JR primary, instead or along with the fact cards you could have objects or pictures. So for instance for President Nelson, you could have a paper heart to help them remember that he was a heart surgeon. For President Monson you could bring a newspaper or have a picture of BYU and UofU. Just gather stuff that represents the facts on each one. They can pull it out of the bag and try to match/guess which general authority it goes to. Oh bless you for making my life easier!! I was trying to come up with quote and cool facts about the General Authorities and found your sharing time. Thank YOU!!!! Yay! So glad it was helpful :) Thanks Arian! Thanks these are amazing. I was just recently called into the Primary presidency and these make my life so much easier! THANKS!